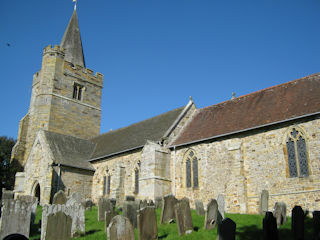 Most legible pre 1945 gravestones in the churchyard have been indexed but none within the church. For full inscriptions of pre 1920 gravestones visit the Kent Archaeological Society website at http://www.kentarchaeology.org.uk/Research/Libr/MIs/MIsLamberhurst/MIsLamberhurst.htm. The information on the KAS website, which is based on a 1920s survey, has been used where the inscription is no longer fully legible. The GPR holds 402 grave and 995 person records for the burial ground.